to maintain an ideal weight. Hydrotherapy for dogs is a truly wonderful form of non weight bearing exercise. It uses almost every muscle in the body while placing no undue pressure on the joints. Our large warm pool allows your dog to exercise and move freely in a safe, clean and controlled environment. 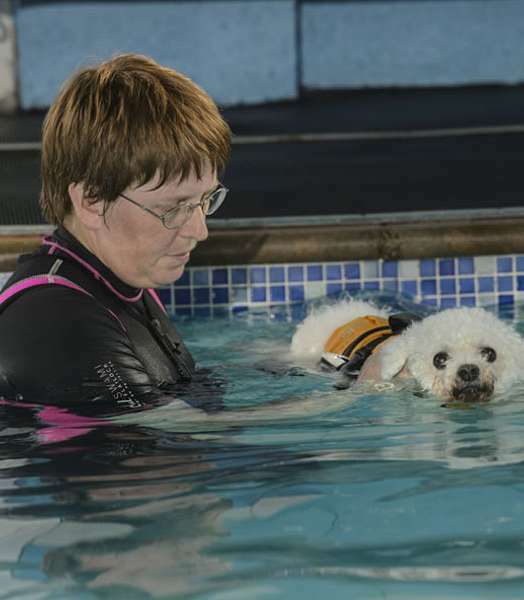 Hydrotherapy is great for general health and fitness, as well as rehabilitation following surgery, and to help maintain mobility in ageing dogs. Dogs need a lot of exercise and you don’t have enough hours in the day. You may be injured but your dog needs exercise. Before your dog comes for its first swim, whether that is for fun and fitness or rehabilitation, we require a completed consent form from your vet (click here to download). This makes sure we have an up to date history so we can provide the best experience for you and your dog. Hydrotherapy can have significant benefits in aiding your dog’s healing and recovery rate after surgery or injury, increasing the chance of a successful return to full fitness. It is seen as a safe and simple method of treating various disorders, often producing positive results without side effects or much expense. Canine massage is gaining recognition as a powerful tool in the natural healing processes of the body and it's benefits to the overall well-being of a dog. Canine Physiotherapy is “passive” stretching, when the action is brought about by the therapist and not by the effort of the dog. We know that you may have lots of questions about Canine Hydrotherapy, Physiotherapy and Massage, and how they relate to your dog. So, we have attempted to address some of the more common questions that our customers have asked about the treatments we offer. 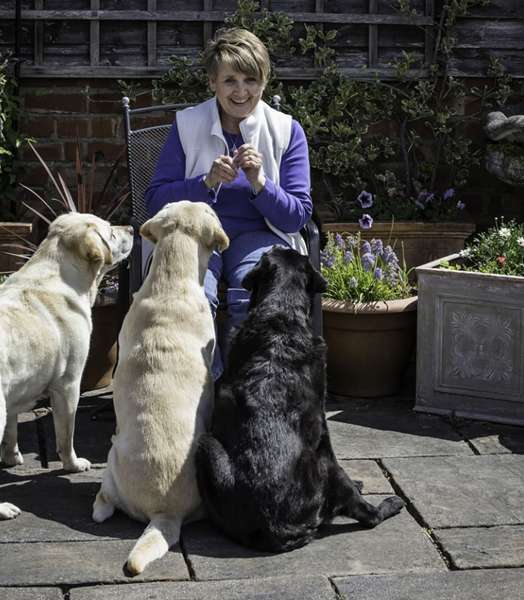 My name is Anne and I have owned a dedicated pool for swimming dogs since 1992, based in Preston. I have helped out at Canine Therapies for a number of years and have swum my own dogs in order to keep them in peak fitness. Having the sessions has made a tremendous difference to Jake he is a lot more free in his limbs and it amazes me how high he can get his back end now! From being a tired, slightly sad little dog, he has become bright and alert, his ears almost constantly pricked, and he looks and acts as if he were five years younger than his true age.